If you’re looking at a new slitter, laminator, or hot melt coater it’s important to understand your options for unwinds. 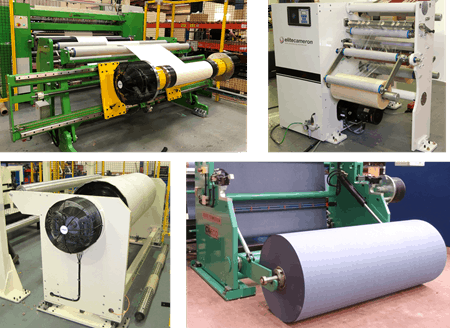 When you’re looking to purchase a new slitter rewinder, hot melt coater or laminator, there are several options when selecting the unwind best suited for your operation. 2) Cantilevered Unwind – A fixed unwind shaft is cantilevered from the machine (top right). 3) Shafted Unwind – The shaft is put into the parent roll then loaded into the safety chucks of the unwind stand via hoist or roll handling equipment (bottom left). Each of these options have their advantages and when we discuss with our customers, we help to determine the best fit.